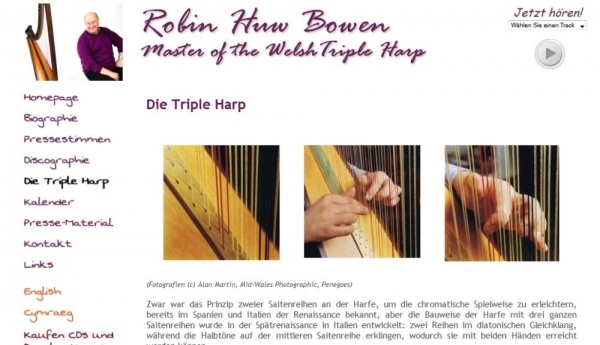 Website to publicise Robin Huw Bowen, the renowned player of the Welsh Triple harp. 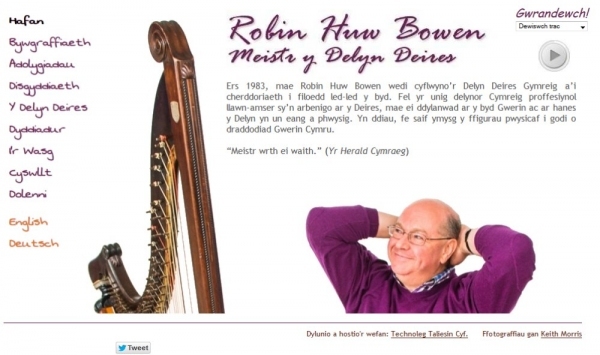 Robin Huw Bowen's influence on the world of Welsh folk music and harping has been far-reaching. 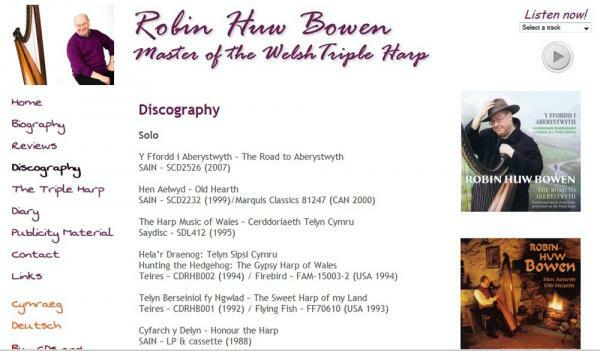 Since 1983, Robin has championed the cause of the Welsh Triple Harp on a world-wide scale, through touring widely in many countries, introducing Welsh music to thousands all over the world. Technical features: PHP and MySQL. The site uses the Technoleg Taliesin content management tools to allow the client update the site themselves. 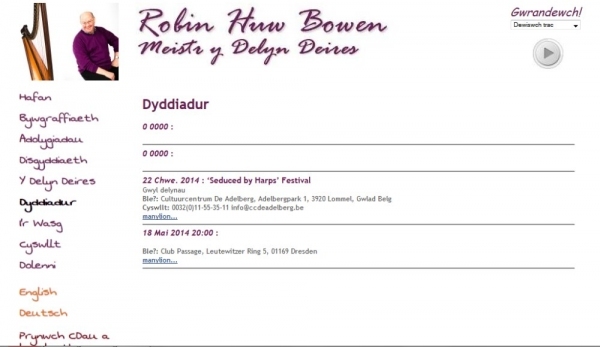 The initial site has now been updated to a tri-lingual site (Welsh, English, German) which includes a wide range of information about his work, a discography, sound samples of his recordings, tour dates, reviews and publicity material. Development partners: Website designed, developed and hosted by Technoleg Taliesin Cyf.